crosoft is acquiring GitHub. 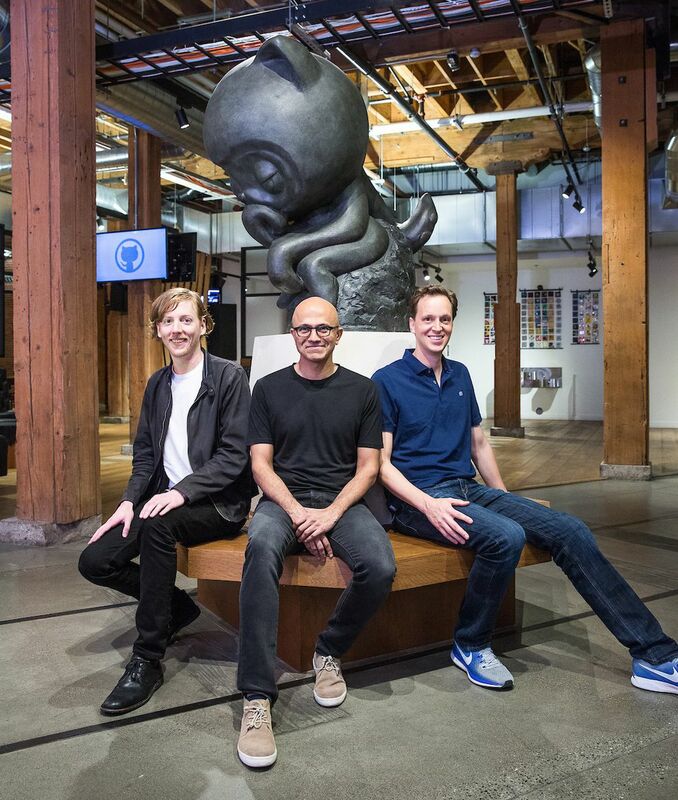 After reports emerged that the software giant was in talks to acquire GitHub, Microsoft is making it official today. This is Microsoft CEO Satya Nadella’s second big acquisition, following the $26.2 billion acquisition of LinkedIn two years ago. GitHub was last valued at $2 billion back in 2015, and Microsoft is paying $7.5 billion in stock for the company in a deal that should close later this year. Trust and respect won’t be easy for Microsoft to win, though. Developers are already voicing their concerns about Microsoft’s past abuses, and the company’s botched acquisition of Skype and Nokia’s phone business. GitHub itself hasn’t scaled well and has faced its own issues over the years, and there are legitimate concerns that Microsoft will need to address. GitLab, a GitHub competitor, claims it has seen a 10x increase in the amount of developers moving their repositories over to its service, an early sign that there’s some developer unrest. Microsoft won’t be able to address the general concern that important tools and internet services keep being consolidated into the hands of a few big tech companies. “When it comes to our commitment to open source, judge us by the actions we have taken in the recent past, our actions today, and in the future,” says Nadella, in an attempt to ease concerns around Microsoft’s acquisition.